Don't miss out on the excitement as the Miners look to defend their conference title and purchase your season tickets today! 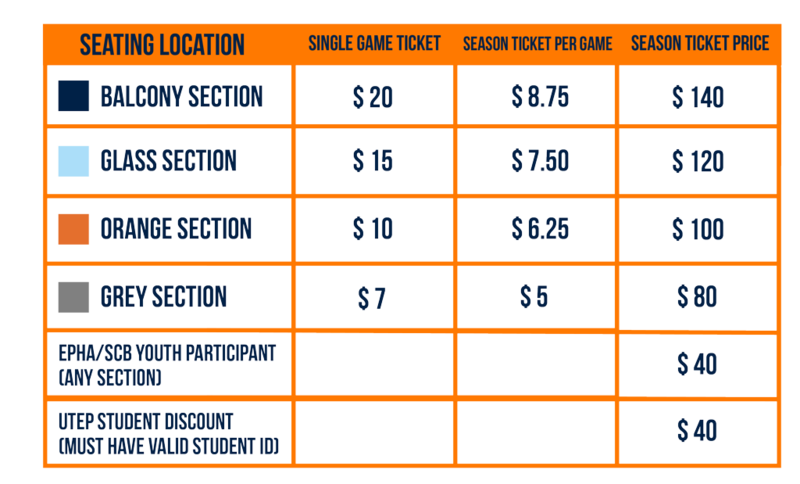 Ticket packages start as low as $5 per game. Enjoy the season ticket holder only perks of savings on single game tickets, invitation to the Pre-Season Team Meet-n-Greet and the same seat for each home game. Purchase your season tickets here! For more information call (915) 491-7879 or email info@minershockey.com.